Join the Tri-City Americans as they compete against the Everett Silbertips during the playoffs. 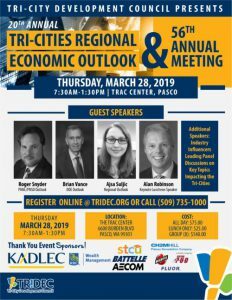 From 7:30 a.m. – 1:30 p.m.
Join us for the 20th Annual Tri-Cities Regional Economic Outlook and 56th Annual Meeting on Thursday, March 28, 2019 from 7:30 a.m. to 1:30 p.m. The event will kick off with Alan Robinson, Portfolio Analyst, RBC Wealth Management as the Breakfast Keynote Speaker. Followed by local and national leaders presenting on key economic issues facing the region. From 11:30 a.m. – 1:00 p.m.
Higher Education in the Tri-Cities: What’s New? What’s Different? What’s Needed? Higher education is an important component of what we are, and hope to be, as a competitive community. 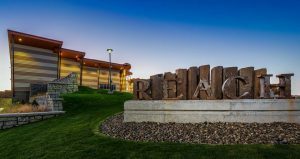 Community leaders fought hard to bring Columbia Basin College and Washington State University Tri-Cities to our community with what some would say is a mixed record of success. Now, both institutions have collaborative new leaders who have been here a year or less. . . enough time to figure out what’s working and not and to begin to develop plans to right it. 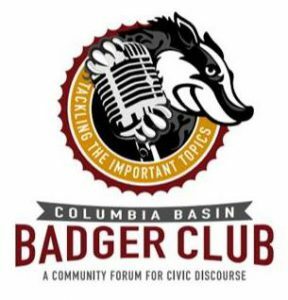 Don’t miss this important opportunity to hear the leaders of these two institutions discuss their challenges, their opportunities, and their visions for the future as they answer questions posed by the Badger Club in a unique new format. Speakers will be Dr. Sandra Haynes, Chancellor of WSU Tri-Cities and Dr. Rebekah Wood, President of Columbia Basin College. From 4 p.m. – 8 p.m.
Friday Nights are all about family at the Gesa Carousel of Dreams. 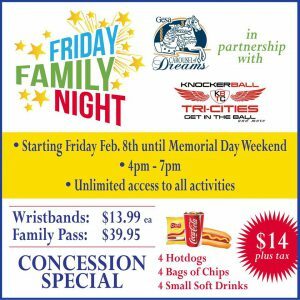 Join the Carousel and KnockerBall Tri-Cities for interactive activities at an affordable price. You’ll have three hours of unlimited carousel rides and play on Knockerball inflatable games. Our concession kitchen is open with dinner specials as well. Future dates: every Friday until Memorial Day Weekend. Friday from 10 a.m. – 6 p.m.
Saturday from 10 a.m. – 5 p.m. 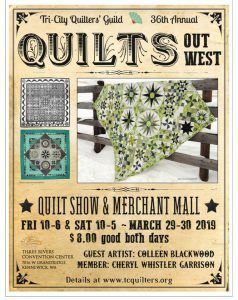 The Tri-Cities Quilters’ Guide Annual Show will celebrate everything we love about our region with the theme “Quilts Out West.”. The pioneer spirit bred into the people and the land still infuses our western identify. Let’s celebrate the ideals of exploration, adventure, independence, creativity, and our appreciation of the incredible beauty all around us during this quilt show. 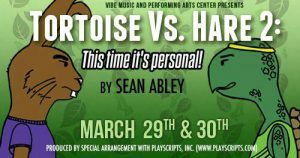 Saturday at 2 p.m. and 7 p.m.
Everyone knows that the slow-and-steady Tortoise beat the bragging Hare in the famous race – but when their great-grandkids Ro-Shell the tortoise and Jack Rabbit are talked into a rematch, anything could happen. 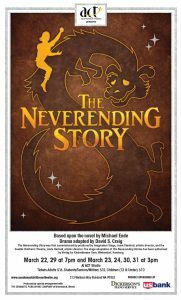 The race will be on live TV, and their friends have a lot of ideas about how Ro-Shell and Jack can beat one another, but only good sportsmanship can win the day in this zany, lighthearted retelling of the classic fable. 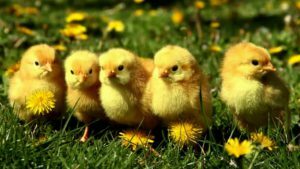 Saturday & Sunday at 3 p.m.
Friday & Saturday at 8 p.m.
From 10 a.m. – 3 p.m.
Basin Feed and Supply is hosting 2019 Chick Day on March 30th. Bring the entire Family, Free Petting Zoo, Face Painting, Baby Chicks, Snow Cones, and our Mascot Charlie the Chicken! 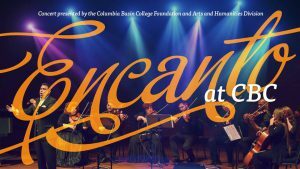 From 6 p.m. – 9:30 p.m.
Award winning Tenor José Iñiguez brings you Encanto. Encanto is defined as the Ethereal beauty of Opera Aria, Classical instrumental and Mariachi Bolero. José will be accompanied by his 11 piece orchestra. Leading the orchestra will be piano conductor Jeremy Neufeld and concertmaster Maija Henderson. 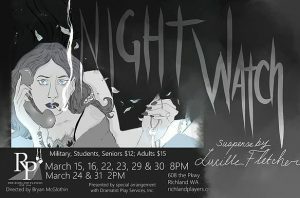 This program is performed every winter in downtown Seattle’s famous Benaroya Hall. 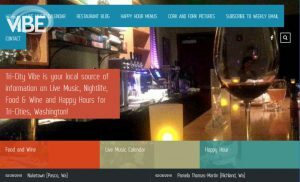 Supporting Jose in bringing this unique music program is CBC Foundation, Pasco/Kennewick Rotary and Gamache Winery and many more. Drama. Japan. Japanese with English subtitles. NR. 121 min. Ryotais a man who has earned everything by his hard work, and believes nothing can stop him from pursuing his perfect life as a winner. 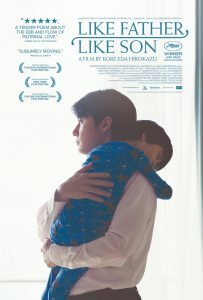 Then one day, he and his wife, Midori, get an unexpected phone call from the hospital. Their 6-year-old son, Keita, is not ‘their’ son -the hospital gave them the wrong baby. Ryotais forced to make a life-changing decision, to choose between ‘nature’ and ‘nurture.’ Seeing Midori’s devotion to Keita even after learning his origin, and communicating with rough yet caring family that has raised his natural son for the last six years, Ryotaalso starts to question himself: has he really been a ‘father’? 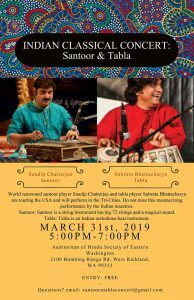 World renowned santoor player Sandip Chatterjee and tabla player Subrata Bhattacharya are touring the USA and will perform in the Tri-Cities. Do not miss this mesmerizing performance by the Indian maestros. Note: Santoor is a string instrument having 72 strings and a magical sound – Tabla is an Indian melodious beat instrument. 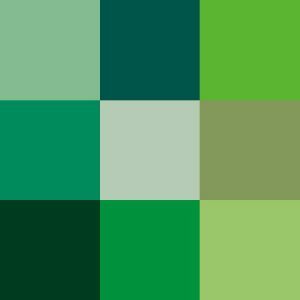 Hours: Wed-Thu: 5-8 p.m., Fri-Sat: 12-8 p.m., Sun: 12-5 p.m.
DrewBoy Creative’s signature color show celebrates its four year anniversary with the color green. With nearly 50 participating artists you do not want to miss this show! This juried show is sponsored by Prohibition Glass, Allen Brecke Law Offices, and Numerica Credit Union. 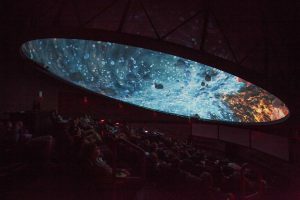 – March 29: Planet Nine at 7 p.m. and Dynamic Earth at 8 p.m.
– March 30: Secret Lives of Stars at 2 p.m. and Two Small Pieces of Glass: The Amazing Telescope at 3 p.m.